Upper Deck recently started a Hobby Shop Advisory Board for e-Pack and one of the biggest requests to come out of those calls was that hobby shops need exclusive content in the physical packs. This week on the monthly Advisory Board call, shop owners received some news they certainly appreciated. 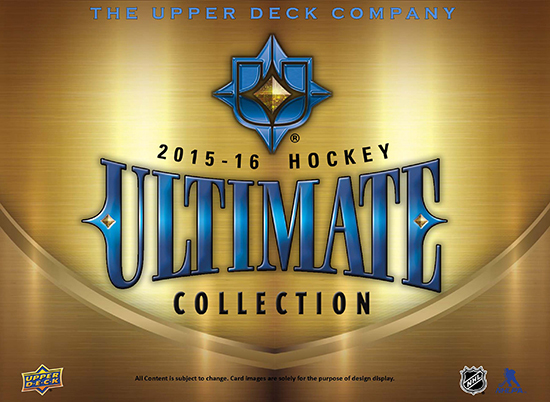 Upper Deck staff revealed that in 2015-16 NHL® Ultimate Collection, the entire group of true rookie autograph shield cards (including the unsigned Jack Eichel card) would ONLY be available in physical packs. These are widely considered the best cards in the set and should deliver significant value for those who find them. 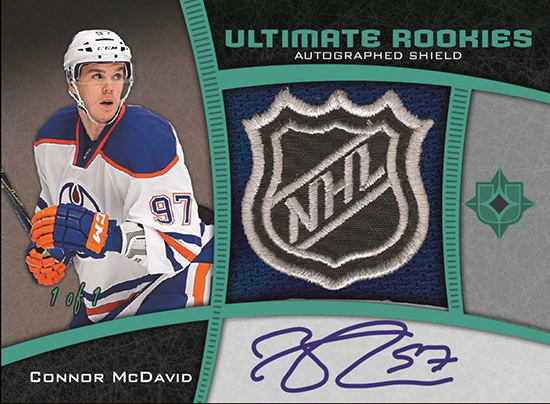 These autographed NHL rookie shield cards will only be available in physical hobby packs. Please note, there are other Shields and Auto Shields within the product, such as the 2005-06 Retros, that will be available in both e-Pack and physical hobby packs. Check out Ultimate Collection when it heats things up in the hobby later this summer! The Upper Deck e-Pack™ release for this product will likely include some new functionality that should be very compelling to those using the platform currently. More details on that to come soon!